Jeans are a wardrobe staple for every woman. Unfortunately, jeans are also one of the most challenging pieces of clothing for which to shop. 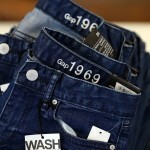 But with the right mindset and a few simple strategies in place, shopping for jeans can actually be productive and fun. The key to denim shopping is to allow yourself time to find the right pair. In most cases you are not going to find a perfect fit at the first store, so remain open minded and confident that even if the first store doesn’t have what you are looking for, those perfect jeans are out there waiting for you. Give yourself at least 45 minutes at each store and try to visit 3 or more stores to make sure you try a variety of jeans. 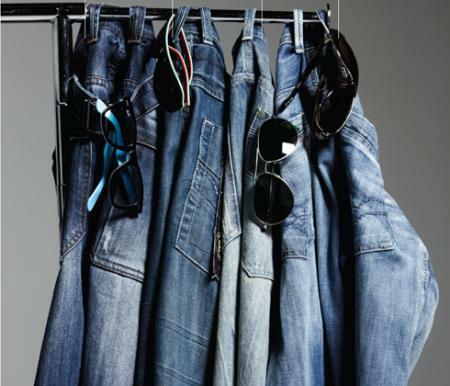 Trying a variety of jeans will help you understand which styles work best for your body. A brand that looks great on your friend might not work for you. Try different washes and cuts. Experiment with the weight of the material and how much, if any, stretch or spandex you want in the mix. Sometimes jeans with a bit of spandex will help lift your rear or hold in your tummy. Too much and it might feel like the jeans are sticking to every curve you have. When you’re jeans shopping, you will definitely see a lot of different trends: skinny jeans, jeans with flared bottoms and even jeans with sparkly or textural embellishments. Give these trends a try if you like, but don’t buy a trendy jean unless it is truly flattering for your figure and you are OK with purchasing a jean that may only survive a year or so before it becomes outdated. It’s important to not let yourself get upset if you don’t look amazing in a trendy jean. Not all trends work for all body types. Curvy women may have a tough time with skinny jeans and petite women may look like they’ve been swallowed up by the high-rise, wide-leg looks. Trends come and go. Flattering jeans are an essential regardless of current fads. When you are buying jeans, focus on fitting the biggest part of your body first. If that is your thighs, for example, start with curvier cuts. If you have very long legs, start with long, straight styles. Once you have found jeans that fit the biggest part of your body, inquire about tailoring. Many department stores and denim boutiques will offer tailoring. If not, take the jeans to your own tailor. 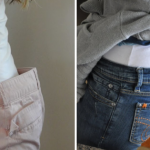 Jeans can be altered a great deal to fit your body perfectly. Waists can be taken in, legs can be narrowed and hems can be shortened. One good tip: Wash your jeans before having them tailored so that they shrink before any alterations are done. 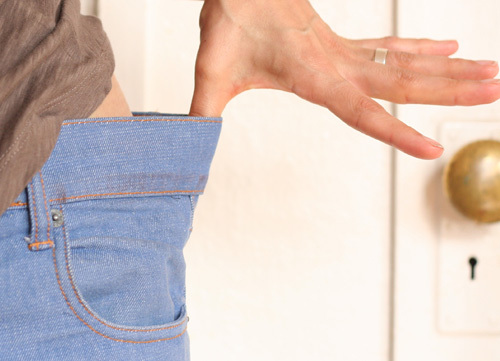 Hemming a pair of brand new jeans and then washing them can leave you with a much shorter length than you intended. Take your body type into consideration when shopping for jeans. A boot cut jean is the most universally flattering style, but even boot cut does not work for everyone. If you are petite or have disproportionately short legs, a boot cut can make your legs look shorter. Conversely, boot cut often works well for curvier women because it appears to elongate the leg. Women with narrow hips and straight figures should opt for straight cut jeans or skinny jeans. These women can also usually pull off lower rises in their jeans. A low rise helps to give the appearance of a longer waist. Curvier women should stick to jeans with a higher rise. Many brands make a curvy cut that has more room in the hips and thighs. 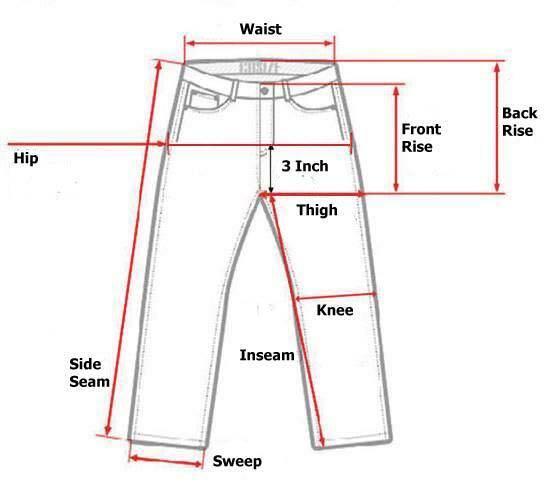 Focus on fitting your jeans through the hip, thigh and rear area and then alter from there. Take in the legs and waist, if necessary. If you are a plus size woman, the key is to find a jean with higher, larger pockets on the rear. This will help make your rear look smaller. Dark washes are also more flattering, as are long jeans with heels. 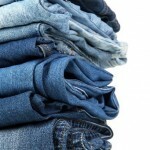 When you are shopping for jeans, take into consideration where you will be wearing them. If you need jeans for the office, look for a trouser fit with a high rise and a front crease. The jeans should be business appropriate with no holes or frayed seams. Purchase a pair of jeans to wear with heels for dressier occasions or to wear at the office. Hem them so that they hit the bridge of your foot when you are wearing heels or boots. You should also buy a pair of jeans to wear with flats or sneakers. If you wear your longer jeans with flat shoes, soon the hem will start to fray and look messy. Also, pay attention to age appropriateness when shopping for denim. Embellishments like decorations, holes and purposely frayed edges look best on a younger person. Older women may opt to keep it simple with a more tailored, less messy look. 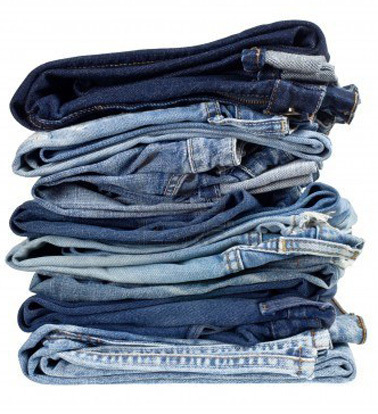 The cost of jeans can run from $30 to $50 per pair to more than $200. Shop a variety of price points and you may be pleasantly surprised that less expensive jeans fit you well. If you have your heart set on an expensive pair, luckily denim is quite durable, and you will usually get years of wear from your jeans. The more expensive the jeans, the more important it is to buy a pair that you can wear for a variety of occasions. Try not to blow your entire jeans budget on a trendy pair that you will only wear for one season. Jeans are a key wardrobe item for most women. Their versatility and comfort make them the go-to items in your closet. You can dress them up for a night on the town or for a day at the office. They can also be paired with a t-shirt and sneakers for a comfortable weekend outfit. Finding the perfect pair is tough, but if you spend some time looking, take your body type into consideration and find a tailor who can alter the jeans to fit you perfectly, your favorite jeans can last a lifetime.